Often times, while searching for suitable wedding photography prices, couples pay much more than really necessary. On your wedding day which is probably the most significant day of your life, wedding pictures are one of the major parts of the event. This makes choosing a good photographer to cover the event, an imperative option. 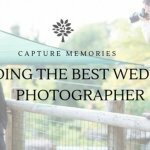 While you are out to get the best we have provided in this article tips that will help you to get a great deal on wedding photography prices. Although these days, the digital-Instagram-Snapchat is trendy, majorities of couples still prefer to make use of a professional wedding photographer for the documentation of their special day. Of course, it would be easy to ask friends and family to snap a number of cute shots, incorporate a filter onto it and post it to Instagram, professional wedding photographers have the training to capture the most intimate and most captivating moments that lead to the major event. 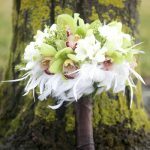 What are suitable wedding photography prices? Probably, as a result of digital connectivity and greater attention to visual media, couples today are willing to pay more for wedding photographers than it used to be in the past. A survey conducted by the The Knot recently found out that the average cost of a wedding has gone up very high. This includes the wedding photography backdrop prices. Based on that survey, the average suitable wedding photography prices is around 2,556 dollars. Wedding photographer fees is the 4th highest wedding expenditure after the payment for wedding reception venue, wedding ring and the band. 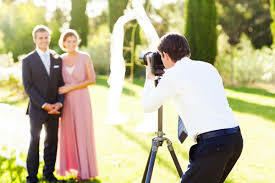 However, the precise amount of money you pay for wedding photography depends on your locality. Therefore, the cost may differ by country by country and state to state. 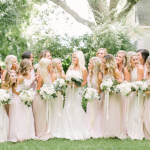 A few places charge as high as $300 per hour and $9,000 for full-day, multi-shooter packages which may include the printing prices and the prices of the wedding photo album. Suitable wedding photography prices can also differ based on the photographer’s experience level and popularity. The cost also varies depending on the number of services incorporated by each photographer. In Florida for an example, wedding photography prices range from $4,000 and $6,000 for 8-10 hours of photography coverage although some photographers in the area charge lower than that. In wedding industry, the contemporary standard wedding photography prices is to spend roughly 10 to 15 percent of the total wedding budget. You may of course decide to spend more or less. It is all up to you. It all depends on how significant you feel that wedding photography is to your special day. You may be wondering why there is so much difference in the prices charged by wedding photographers. The reasons have been specified below. 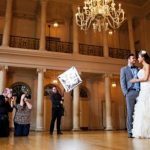 As you would obtain in hourly service, hiring a photographer for fewer hours could lower down your wedding photography prices. It would also mean a reduction in the amount of money that the photographer would pay his assistant or a second shooter. The cost of this however is that you don’t get plenty photos and then again, the coverage moments are a bit more reduced. Suitable wedding photography prices include much more than the prices. If the photographer incorporate a lot of packages into his or her services, that could lead to a hike in the wedding photography prices. Therefore, the variation in the cost of wedding photography depends on the amount of time they shoot, how many photographers that you work with, the packages included like photo photo albums and prints and the experience/ popularity of the photographer. To bring down the cost of your wedding photography, you may use to use a few less expensive options available online. You may wish to just let go of the included packages and print your own pictures if your aim is to reduce the cost.